Craft A Doodle Doo: FREEBIE JUBILEE // FREE ROSE GOLD FLORAL WREATHS! 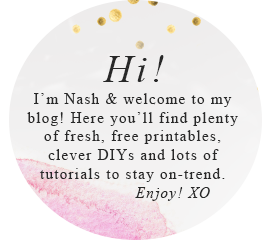 FREEBIE JUBILEE // FREE ROSE GOLD FLORAL WREATHS! I love rose gold. I love wreaths. And I love doodling! So it was no surprise that these had to come together some time soon! Presenting to you the cutest new bundle on the blog: something to add a little bit of sparkle to your life. I love wreaths because they are super-versatile. You can honestly add them onto anything and they instantly look festive and whimsical. This bundle has four rose gold wreaths with transparent backgrounds which you can use to your heart's content. I would suggest thry show up the most sparkly on very light colors (blush, baby blue, whites, creams, etc) or very deep colors (plum, navies, berries, forest greens, smokey greys and blacks) Check them out below! You might want to hold on to the edge of your seat because the pretty mockups are coming up next. This is just a little peak but you can use these for so many things besides the ones below. All you need is a bit of imagination! Since so many of you keep messaging me to ask if my freebies are available for commercial use. Yes, this one is and you can find it in the blog shop here for $2.00! Find my other fantastic popular freebies here including MORE wreaths and clipart!